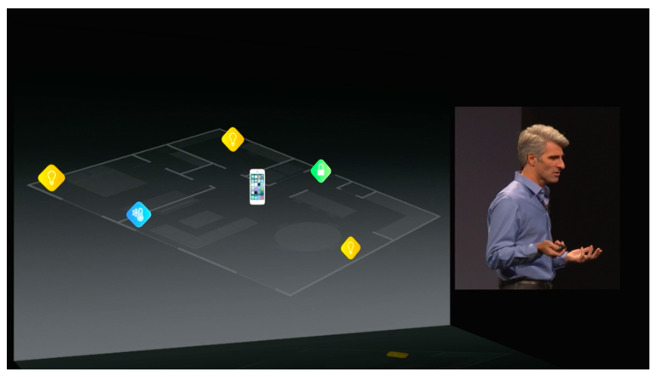 As part of Monday's unveiling of iOS 8, Apple took the covers off of HomeKit, a new framework for connected home devices that allows users to easily control those devices using iOS. Apple says they worked with a number of manufactures, including large names like Cree and Haier, to create the system. Among the supported devices are smart locks, lights, cameras, doors, plugs, switches, and thermostats. One feature, Secure Pairing, is designed to enhance security. Secure Pairing ensures that only the registered iOS device can activate connected items like locks, and is said to be quick to set up. 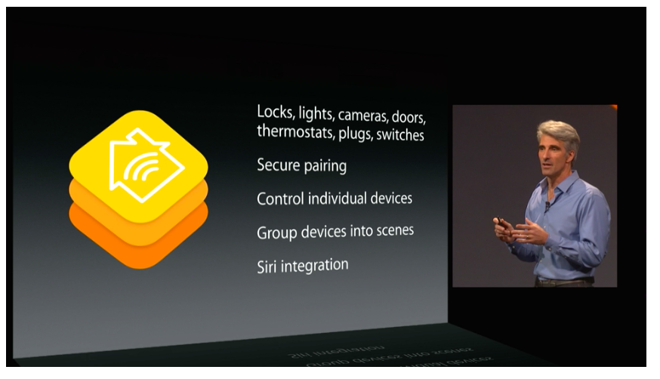 HomeKit also allows users to group devices into scenes or control devices individually. A number of lights in a living room could be grouped together to create a relaxing mood, for instance, while others could be turned on while working. Additionally, HomeKit integrates with the Siri personal digital assistant. Users can tell Siri to turn on the lights in the living room or open the garage door.